As part of our Lync deployment we are using Exchange Unified Messaging for our Auto Attendant. In order to make a more professional presentation, we do not use the automated “robot” voice with our Auto Attendants. Rather we have employees record a script and then we use that recording with our Auto Attendant. This is all essentially straightforward. The employee uses the Windows-provided Sound Recorder app and their Lync headset to record the script. Then they e-mail the recording to me. I clean it up (if necessary) using Audacity and then copy it up to the Auto Attendant. The only “gotcha” here is that Exchange UM requires a very precise audio format (Linear PCM (16 bit/sample), 8 kilohertz (kHz))which is documented here. Initially I was having one heck of a time getting the files converted to this. Then I stumbled across Online-Convert.com and more specifically the page that converts audio files to .wav format. Using it is simple. First, you browse to the recording you want to convert. Even if the file is already in .wav format it will convert it down to the proper specifications. Then change the settings as I have below which mirrors the requirements from Microsoft. 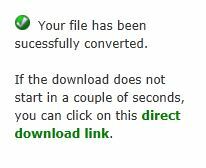 Once that is done click the “Convert file” button and wait a few short seconds. Note that I always select the “Normalize Audio” option. 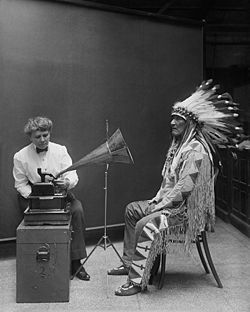 According to Wikipedia, “Audio normalization is the application of a constant amount of gain to an audio recording in order to bring the average or peak amplitude to a target level (the norm).” In other words, it makes sure that the recording is at a consistent volume and never gets too loud or too quiet. Once the page refreshes, it should automatically prompt you to download the file. If it does not, or if you simply want to download it a second time, look in the upper right hand corner of the page for the link seen below. It’s in a slightly odd location so I thought I should point it out. So there you have it. Thanks to this website, I can easily convert my recordings for free and easily match the recording requirements. Thank you sir.its working now.